I am not a big fan of reality TV but this I can't wait to see. 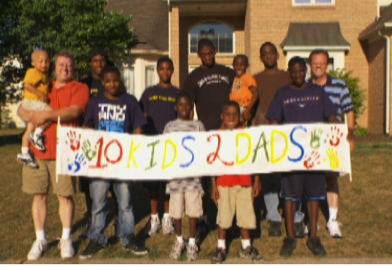 Variety announced today that in an effort to build up its programming base, OWN has given the greenlight to World of Wonder’s 10 Kids 2 Dads, about a Midwestern gay couple who have adopted 10 underprivilaged children. “As a committed gay couple living in suburban Michigan, Clint and Bryan wanted to start a family. But 10 African American kids and nonstop commotion wasn‘t exactly what they envisioned. After their first successful adoption, the agency kept calling with more children in need of a forever home. And Clint and Bryan created a full house.” It airs August 18, at 10 PM on OWN.